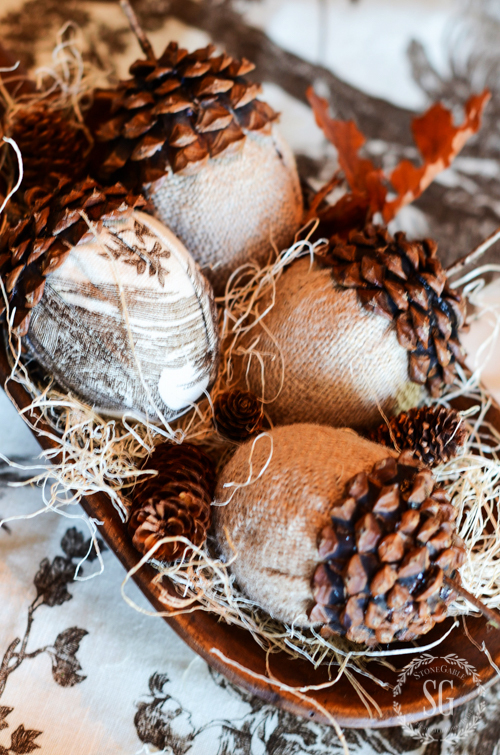 Fall is the perfect time to pull out our glue guns and scraps of burlap and combine them with pumpkins and acorns and Indian corn to create something amazing! I’m sharing 5 fabulous fall diy’s that can be made in just a couple hours and will infuse our homes with fall beauty! Let’s get started!!!! You don’t have to be a master crafter to make these diy’s because I’ve written a detailed tutorial for each of them! This wreath is really magnificent! It’s full and big and very showy… and so so easy to make. I have saved mine and use if from year to year! Be the envy of your neighborhood with this gorgeous fall wreath on your front door! I love to arrange these big, fun acorns every year. Aren’t they impressive? And they are very easy to make. My favorite way to display them is in a big dough bowl. Just think how many ways you can make these! You are only limited by your imagination. I made these napkin rings for Thanksgiving but now I’ve used them many times a year. Everything you need to make the flower can be picked up on a walk in the woods! And the form for the burlap ring is a toilet paper roll! Who knew? Aren’t these adorable? A trip to our local Goodwill gave me perfect sweaters to make these darling pumpkins! I added them to white baby boo’s in a vignette. These are so so easy to make! Wouldn’t you like to have this pumpkin in your home? It may look hard, but it’s really very very easy to make! And it will grow through Thanksgiving! There you have it, my 5 fabulous fall diy’s! I hope you will make at least one! Target has some nice faux pumpkins that are really reasonable. I bought some to use for the succulent planters and found the succulents on close out at Michaels. I am making them for the residents at our nursing home and I know they will love them. Thanks for all your inspiration. So many wonderful ideas, where to start? I know, just pick one! I am happy I signed up for your website. Im excited to see what you have to offer for all of the different holidays! I love your beautiful fall DIY’s! Can’t wait to start making some of them. Thank you for sharing! Love the pumpkin dressed up! I grew white pumpkins this year so have the starters! All the projects are awesome ,still love the sweater pumpkins the best and succulent pumpkin is very cool. As always Yvonne your ideas are so creative. The pumpkin with succulents is stunning. I’m inspired by your beautiful projects and lovely home. Your ideas are inspiring and I hope I can make mine look half as pretty as yours. What fun ideas. They really make a room special. Love the acorn/pine cone rings!!!! and the succulents on the pumpkins, were they glued? There are two things I’d love to make first. First is the Indian corn wreath. It is so striking!!! I’m not able to drive so I’m not sure when I’ll go out but I have time. The other that simply blew me away is the pumpkin succulent. It’s been in the 100’s and sadly my birthday succulents in a giant pottery mug had some fry. But today was cool so we shall soon have cooler weather. Although it’s to be 98 this Saturday!!! What a long summer!! Such striking decor are the acorns. I don’t have access to pine cones though!! But I did find my walnuts and added to a cylinder and pillar candle and around things in my oblong basket corralling things on the coffee table!!! I’m so in style??heehee!!! Yvonne, do you ever sleep!! They are all beautiful!! How do you make the big acos, I love them. ve you blg ft thing every morning with coffee eat woas Susan . You are incredible…and how do you find the time? Pinning all of these! LOVE the Indian corn wreath and the sweater pumpkins – so pretty! Fabulous diy’s Yvonne! I’m gonna try a couple. Thanks for posting. I’ve been shopping the house for fall decor, but saw the adorable sweater pumpkins and really wanted to make them. I didn’t have a white cable sweater to use, but I did have an old, worn out olive green sweater and a pair of white cable mittens that are too large on my hands. For the mittens, I merely rolled the thumb and cuff inside and found they were adequately filled. I tucked all in well and stitched shut. I’ve been saving an old doily that has a large round center with mini doilies sewed around it’s edges – it’s lovely but falling apart. I clipped off three of the small doilies to use as leaves – two for one pumpkin and one for the other. For stems I used two acorn squash stems, which I hot glued on (this was a tip that Yvonne shared last month). They turned out adorable. With the green sweater, the sleeves are wide so I cut them for squat pumpkins. I used leftover stuffing from an old pillow. Then I used garden twin to wrap the stem. To give it curl, I wound around a pencil, sprayed with hair spray, and used blow drier to set. I had some leftover ivory felt, which I used to make leaves. I love how these turned out, too. Thanks so much, Yvonne, for your wonderful tutorial!! Great ideas! I love the napkin rings! Love the sweater pumpkins! Thanks! I love all of these! Can’t wait to try making the acorns! 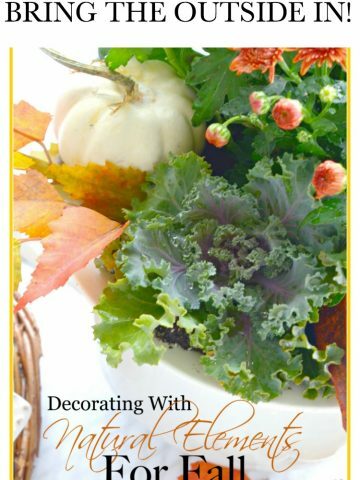 I have shared a lot of these ideas with a Facebook group I am a part of, where all the ladies are obsessed with fall decorating and now following StoneGable! I love your style, Yvonne! Thanks so so much Marie! Great ideas, thank you, BUT the link to the Pinecone and Acorn Napkin Ring doesn’t seem to be working. Could you please direct us to the tutorial? I purposely bought two bluish pumpkins for this idea..I stacked them with the smaller one on top..I used my succulents that I have. It turned out lovely.Thanks for the inspiration…next the sweater pumpkins!!!!? 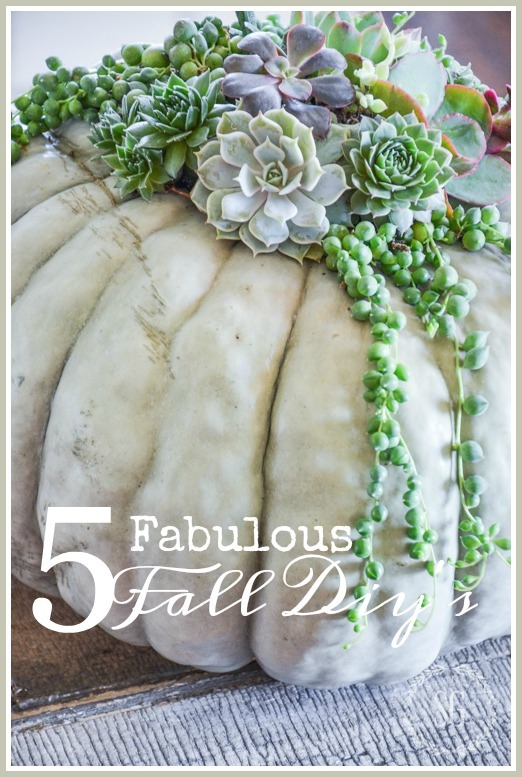 Absolutely love love love the succulent pumpkin! Great idea for fresh or faux. Love the mini corn wreath! You have the best ideas! I love the succulent pumpkin – it’s so original. The beautiful white pumpkin with the succulents on top is stunning! Love your blog….you always give me such inspiration….thank you! d also look great and bring in some more of the traditional Fall colors! Happy Fall Y’all! I love this post! I made your Sweater Pumpkins last week and can’t wait for next..the succulent pumpkin!! I love them and want to try them all. So adorable. I never tire of your creative ideas that you so willingly share. Thank you, Yvonne. Your blog is a treasure to me. I love your beautiful ideas!!! The sweater pumpkins are adorable!!! Thanks again for such inspirational ideas!!! 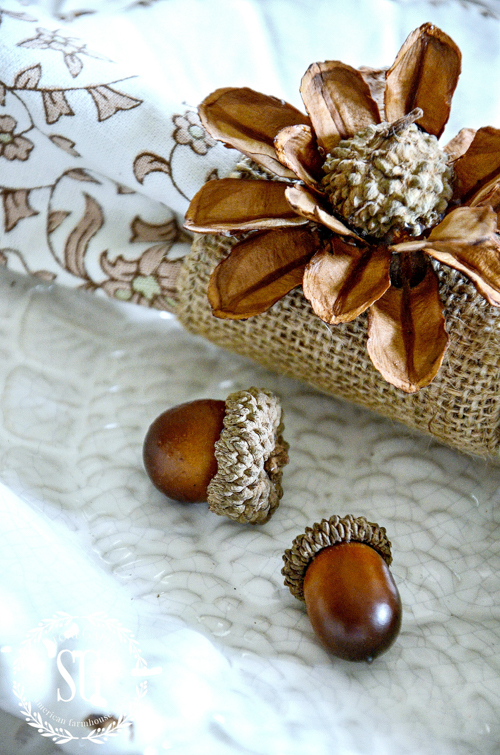 I especially love the acorns as well as the napkin rings. Can’t wait to try them! Those little adorned acorns are adorable! LOVE all of these ideas. I can’t wait to get started, especially the Indian corn wreath – beautiful. I wonder if it will attract birds….. I love the little sweater pumpkins… How cute!!!!! Love your blog and love Kirklands so hope I wib!! Love love love the succulent pumpkin! Fabulous idea! Thanks! You inspire me to try and make sweater boo’s!!! Love your Fall ideas! I just wish it wasn’t still in the high 90’s here in Texas. Thanks for sharing. The succulent white pumpkin gets my vote for style and design. Thanks for all of the great fall ideas! I’m in the process of making sweater (and flannel!) pumpkins now, and loving how they are turning out!! Would love to try the succulent pumpkin, too….. I love every season, but spring and fall are my favorites. Looking forward to cooler weather after the HOT summer we have had. After spending another day of 1oo degrees here in Texas, I really needed this to put me in a “COOL FALL” frame of mind! Thanks so much!! 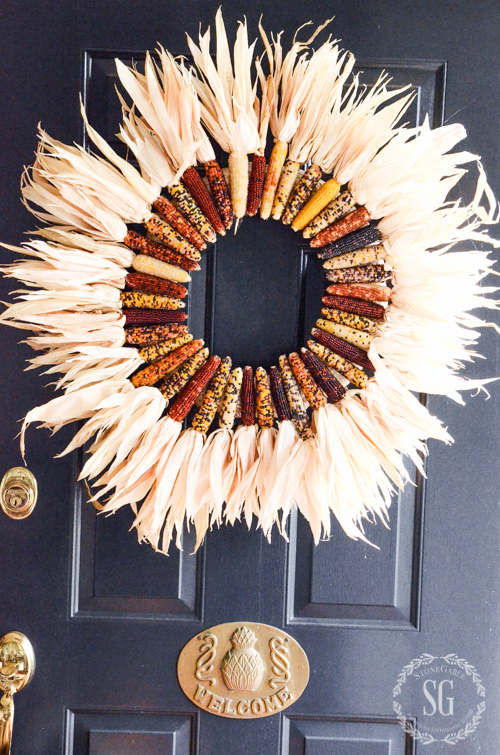 Love the Indian corn wreath! I love the succulent pumpkin! I did one (thanks to you) last year and just picked up my pumpkin yesterday to do one this year! Thanks for all the great ideas, Yvonne! I love all of your fall projects Yvonne, and I just pinned for future reference. Thanks for the inspiration and instructions! Wow, succulents on a white pumpkin! Your ideas never seem to amaze me! I am so going to make some sweater pumpkins this year. That succulent topped pumpkin is beautiful! The mini cob wreath, simple yet stunning and love those pine cone acorns too! Awesome ideas! I absolutely love the wreath – have to try my hand at that! Thank you for all the wonderful ideas! Where are some good places in Lancaster County to buy faux succulents ? Ready to make the succulent pumpkin craft, but hoping to use materials that can be re-used again. Hi Judi! The succulents on the pumpkin are real and I got them at Ken’s Garden. For faux, try ACMoore or Michaels or The Old Millhouse Shoppes. But call before coming down, I’ve not really looked for any there. Look for “faux succulents” on Amazon. There are tons there. I love your ideas – especially the pumpkin with succulents. Love all these ideas! 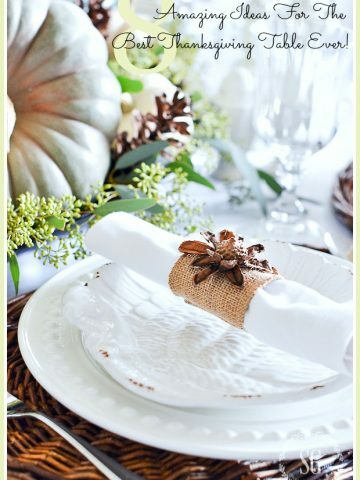 May have to try the napkin ring and the pumpkin with the succulentsame! Too cute! I love the acorns and the sweater pumpkins. Getting out my glue gun! I especially love theone filled with succulents. Fabulous ideas. You are so creative! I love, love the large acorns…so unique! Love the napkin rings, I can see where they would be very nice to use throughout the year. the succulent pumpkin is gorgeous! and so fun! thank you! With the move in less than three weeks I’m thinking of going right into Christmas decor for the new place. I actually have more Christmas items than year round items. My oldest daughter LOVES fall so I think the mini corn wreath is a must for her. Thanks for the instructions! I love all your DIY ideas. I think I’ll try the Indian corn wreath for sure! Thanks for the great ideas! now to just find that darn glue gun…. As usual, unique, creative, beautiful inspirations. I just simply love your blog!!!! Love those white sweater pumpkins. I might have to venture into the basement dungeon and drag a sweater or two out of an old stash. Such fun. Can’t wait for the little girls to get here. They will LOVE making the flowers for napkin rings!!!! 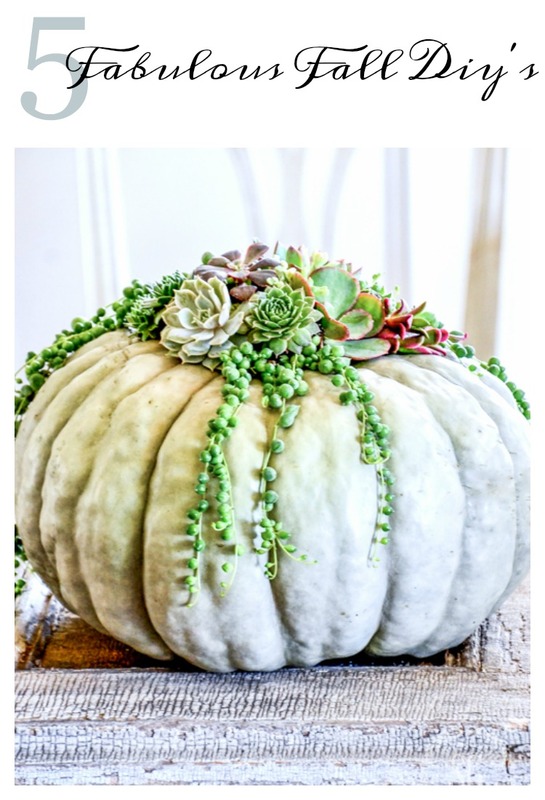 I, on the other hand, can’t wait to make the gorgeous pumpkin with succulents. 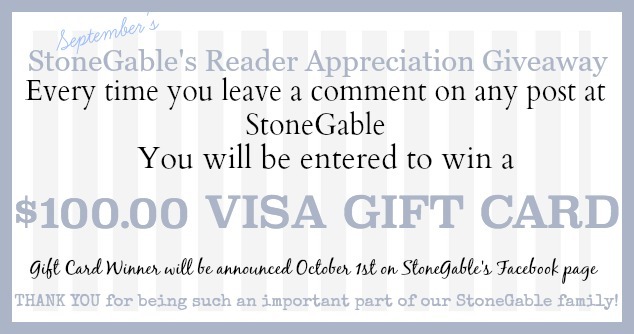 Thank you for all your hard work on the newsletter and your blog. We appreciate you!!! I love the succulent pumpkin, the sweater pumpkins and the acorns. Might try the sweater pumpkins with a sweater I have that has seen better days. Thanks! Love all of these! I adore the napkin rings! There doesn’t seem to be a tutorial for that one however. There is for all the others. I would love to make them! More wonderFALL ideas! Thank you. All of these ideas are so wonderful. I can’t decide which one I love most! 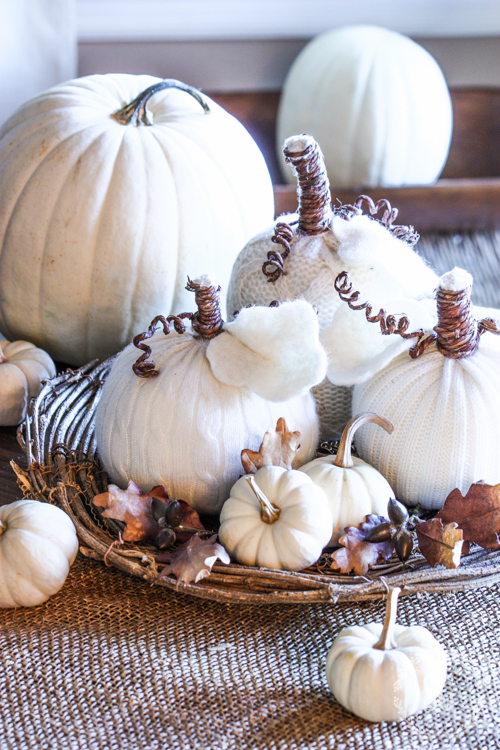 These are wonderful and simple craft ideas to add to my fall decorating. I love the idea of a few sweater pumpkins mixed in with all the others. Great ideas. Thinking I’ll try making the sweater pumpkins. I love your ideas. I’ve made that indian corn wreath about 20 years ago and I loved it —-until the squirrels massacred it 🙂 Right up on the door – can you believe it? I’m slowly making the acorns you have here. I have two finished and two to go. That will be my weekend project. I love Fall….sigh! So creative. I think I will try making the flower rosettes from acorns and pine cones. Just so clever. I love the sweater pumpkins for your Fall display! Also the burlap napkin rings are pretty! Our neighbors have a huge oak tree with pretty acorns that are ready for gathering. Also I have access to beautiful fresh pine cones that are falling! Thank you Yvonne for such great ideas! Click on their title and the tutorial will come up! They are all wonderful ideas! I think my favorite is the succulent pumpkin, I need to do that! I have made a couple pumpkins and love that diy also! Happy Fall! karen…. Love all the beautiful pumpkins, thanx for all the great ideas! All your fall craft projects are stunning. Thanks for sharing the tutorials. I did the succulent pumpkin last year and really liked it. Your acorns are really cute, so maybe I will try them this year. What a wonderful time of the year! Such wonderful ideas this morning! Thanks so much for sharing! I am so ready for Fall. I think it may be my most favorite time of year! I hope that you have a wonderful day!!! Thanks for the fall ideas! My favorite is the succulent pumpkin! What do I love about your blog the most? The fact that even on a limited budget for decorating you are able to show how to use and reuse with a new look what we have on hand. Add a few new touches for a new look but do so in an economical way. Just last week I redid my autumn wreath and it only cost 7.99 at Hobby Lobby for a new wreath. You are the greatest. I always enjoy your projects. Going to make your sweater pumpkins. 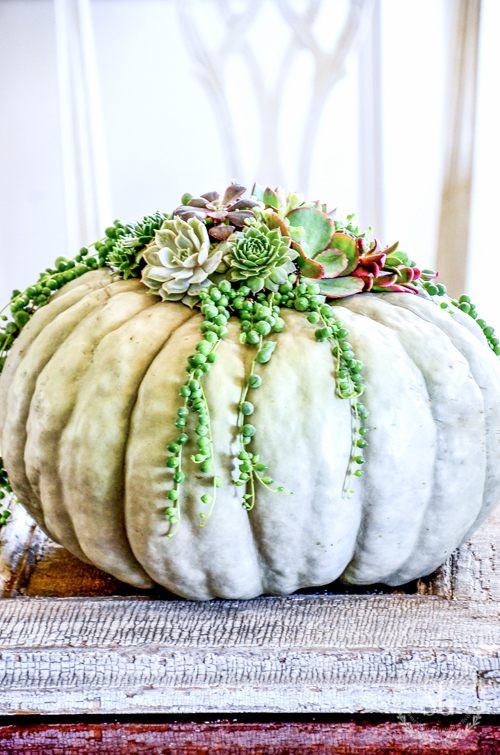 I love all of these ideas, but the succulent topped pumpkin is my favorite – I love succulents! It’s stunning! The sweater pumpkins is a very creative idea, appears so cozy. Thank you. Digging in the basement for my glue gun…….My daughters and I are going to be giving some of these a try this weekend! And I think we may have to try them all as I cannot decide which one I like better! Thank you for beautiful and EASY projects! Loved all the ideas – especially the succulent topped pumpkin. Thanks for sharing! Great examples of how to take fall decorating to a new level! Love all the tips! Thanks. I really like the corn wreath, thanks for all the ideas. These are some pretty and neet ideas ! I love those sweater pumpkins – too bad I just donated a white sweater to my local thrift store; however, I’m going to take a look around and see if I can find something to make some. Thx for all your great ideas and inspiration! Great projects that don’t take too long to make and look gorgeous! Excited to try the sweater pumpkins! Oh the succulent topped pumpkin is something new and quite attractive. Now to find friends who has a garden full of hens and chicks that would like to share. =) Not sure what the viney little ball greenery is??? Thanks for sharing a new idea with us. I needed something NEW! Hi Kathy: I don’t know the Botanical name but their “common” name is: “String of Pearls”. I love the succulent topped pumpkin! I am going to try to find faux succulents to make mine. I’d like it to last year to year! 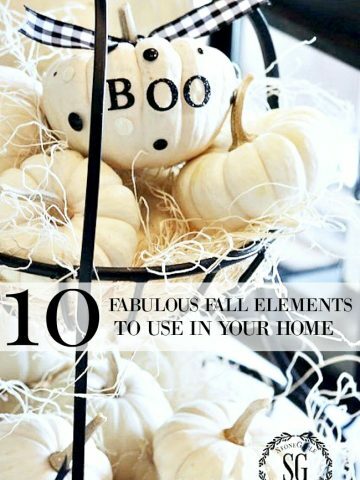 I love all of these fall DIY ideas!! Love the corn wreath! Stunning! Thank you for sharing…I love each of your ideas! Such creative approaches to decorate for the season. The succulent topped pumpkin is absolutely gorgeous! I hope to create this beauty for our Thanksgiving holiday. Wish me luck!! LOVE the sweater pumpkins!!! I am going to hit my local Goodwill this week in search of sweaters! Where can I find the paper twine? Love the succulent pumpkin! Thanks for all your inspiration! Good Luck, Kristyn! I know you can do it!